The Cotswolds is one of the most beautiful and accessible parts of England. Our Cotswolds Full Day Road Trip gets you away from the crowds to enjoy what we, as locals, like most about this region. 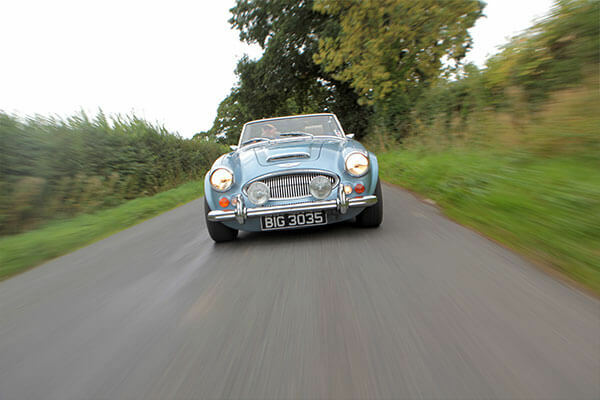 You'll drive 5 cars during the 100-mile tour, which includes Broadway, Chipping Campden, Shipston, Stow on the Wold, beautiful Lower Slaughter and pretty Snowshill. Lunch is provided at a popular farm shop cafe along the route. The range of cars is drawn from a fleet of over 20 that includes classic Jaguars such as E Types, Porsches, MGs, Triumphs, Alfa Romeos and Healeys. Hit the tarmac for a driving experience in a supercharged 300bhp ariel atom at the Hertfordshire venue. This experience is great for mortospors fanatics. Drive six sensational supercars from different manufacturers and see which comes out on top for you. Drive the Audi R8, Ariel Atom, Porsche 997 Turbo, Aston Martin DBS, Lamborghini Aventador and Ferrari 458 Italia for 3 laps in each at the Castle Combe racing circuit. From a selection of supercars, you can choose one car to drive on a purpose-built racing circuit. This experience is designed for under 17's to enjoy the thrill of not just driving a car but a supercar.